Breakthrough Manchester is pleased to announce the hiring of their new Executive Director, Debra McLoud. 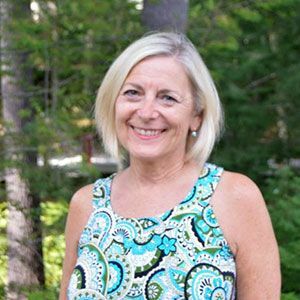 Deb has recently moved from Rhode Island to join Breakthrough Manchester as Executive Director. Deb was with The Gordon School in Rhode Island for 25 years where she served in a variety of capacities from Director of Technology and Robotics coach to classroom teacher and President of the Gordon Community Association. She has taught at every grade level from nursery to eighth grade and coached many activities from robotics to basketball. Deb has been active with the school’s Diversity and Social Justice initiatives for which Gordon School is recognized as a leader among Independent Schools. As a fundraiser for the school, Deb was a member of the founding team of an endowment to support after school programs, co-chaired a major gala and auction event and has solicited support for the Annual Fund. She was also a committee chair for the school’s last two strategic plans and AISNE re-accreditation. Before pursuing a career in education, Deb worked in the financial services field. She worked on a corporate and government bond desk in Boston before serving individuals as an Investment Advisor. Later, as a Field Representative for Merrill Lynch, Deb hired, trained, supervised and evaluated Registered Representatives in northeast and mid-west offices. Deb has also served on non-profit boards throughout Rhode Island including St. Mary’s Home for Children. She has held several leadership positions including President of the Junior League of Rhode Island and Treasurer of the Rhode Island Antiques Show. She has led committees for many fundraising events, and volunteered at Hasbro Children’s Hospital, The Tomorrow Fund, and other organizations that support women’s and children’s health.